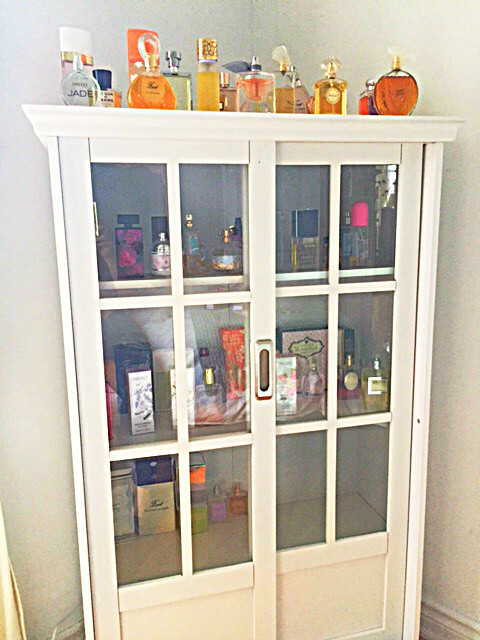 Although the Aaron Lane is designed as an all- purpose curio or occasional cabinet, it seems custom-designed for a perfumer’s collection. 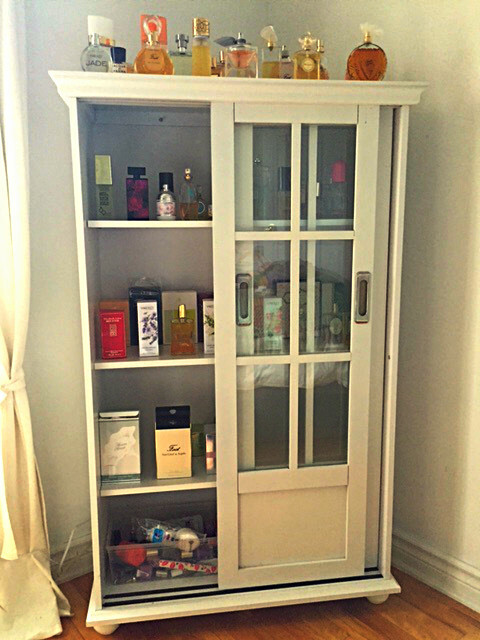 There’s enough room for one thing to both display perfumes and below, where the glass discontinues, amble storage for toiletries (manicure stuff for example). Inside, there’s room for double rows of perfume or place the perfume bottles in front with their beautiful packaging/boxes behind them. 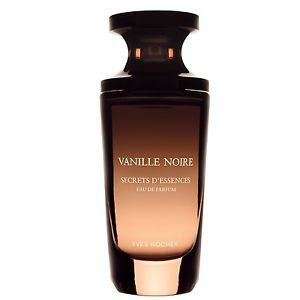 This is also a good visual clue of which perfume is which. 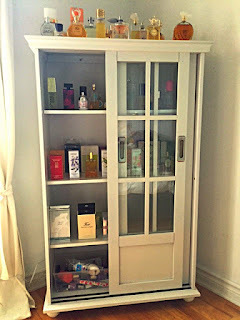 The glass shelves keep things out of direct light, preserving the expensive liquid treasures and keeps things dust free. 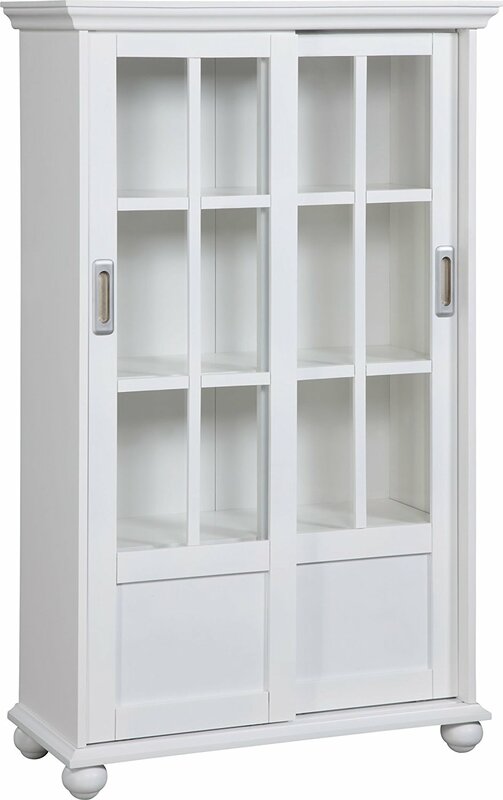 Featuring an exceptional design, the Altra Aaron Lane Bookcase is a practical and beautiful addition to your home even if you weren’t dedicating to perfume. Having tried many similar units and watched them collapse or they were impossible to put together to begin with, this Ameriwood cabinet is a true find. It’s easy to assemble, made with solid wood, finishing screws (versus nails) and the sliding mechanism of the doors outshines anything in its category. This unit, which is also perfect as DVD, CD cabinet (yes, some people still have those collecetions as well) or as a bookcase of course, includes 4 shelves behind the 2 sliding doors. 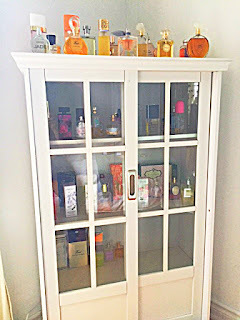 There’s also plenty of storage space that is hidden below (where the glass ends) to keep messier or less pretty stuff away from view.